Swan Song offers five original tracks from Bethel Music artist Hunter G.K. Thompson. The EP is marked by engaging arrangements, poignant lyrics and haunting melodies. 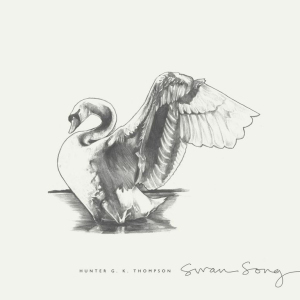 Moved by the metaphor of a swan’s last exhale before departing this life, Hunter’s crafted lyrics and soundscapes explore the paradox that life is a vapor, while being ever connected to eternity. Marked by phrases like “May I sing as if these words would be my last…,” the album takes an honest stance toward what it means to remain unreserved in love even when life’s circumstances try to convince us otherwise.